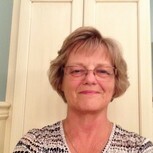 Cheryl Newman Tucker changed her profile picture. Cheryl Newman Tucker posted a message. It's hard to believe so many years have passed since 1964. I am married 48 years to a great husband. We raised 5 children and now have 81/2 grandchildren.I taught second grade for two years after graduating from BGSU. Raising children and volunteer work with Released Time Christian Education after that. My husband and I have enjoyed traveling since he retired. We winter near Marco Island ,Florida. I would enjoy hearing from old friends. Not that we are old, of course!